Dream the impossible dream… The award-winning musical Man of La Mancha returns to London – starring Kelsey Grammer, Danielle de Niese, Nicholas Lyndhurst and Cassidy Janson. Featuring the iconic song “Dream the Impossible Dream”, Man of La Mancha is inspired by Miguel de Cervantes’s masterpiece Don Quixote. In a 16th century dungeon Cervantes and his manservant await trial from the Spanish Inquisition. In his possession, he has a trunk, carrying an unfinished novel Don Quixote. As prisoners attempt to steal his possessions, Cervantes embarks on acting out his novel as his defence, transforming himself into Alonso Quijano. 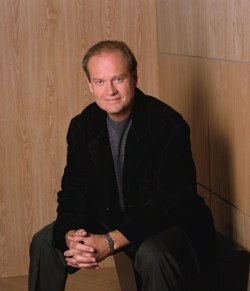 Emmy award-winning and Tony-nominated actor Kelsey Grammer, best known for playing Dr Frasier Crane in NBCs hit series’ Cheers and Frasier will make his West End debut playing Miguel de Cervantes and Don Quixote and the international opera star and soprano, Danielle de Niese will play Aldonza and Dulcinea. Danielle will be performing in 33 performances of Man of La Mancha, with further star casting for this role and the rest of the company to be announced.